327 East 64th Street. Photo by Waymond_Womano via the YIMBY Forums. 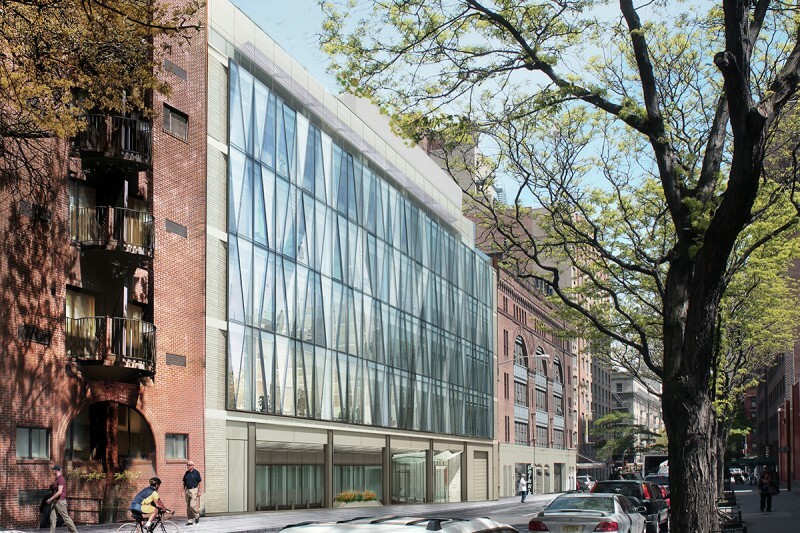 Construction has topped out and façade installation is well underway on Memorial Sloan Kettering’s six-story Laboratory Medicine Building being built at 327 East 64th Street, on the southern end of the Upper East Side. YIMBY can bring you this update thanks to photos posted to the YIMBY Forums. The facility, which YIMBY revealed renderings for in 2014, encompasses 95,976 square feet, according to the latest building permits. Laboratories and research areas will be located on two sub-cellar levels and the ground through fourth floors. Offices will be hosted on the fifth and sixth floors. There will also be an outdoor terrace on the sixth floor. The 75-foot-tall structure is being designed by Perkins+Will and is seeking LEED Gold certification. Opening is expected in 2017. 327 East 64th Street. Rendering via Memorial Kettering Sloan. 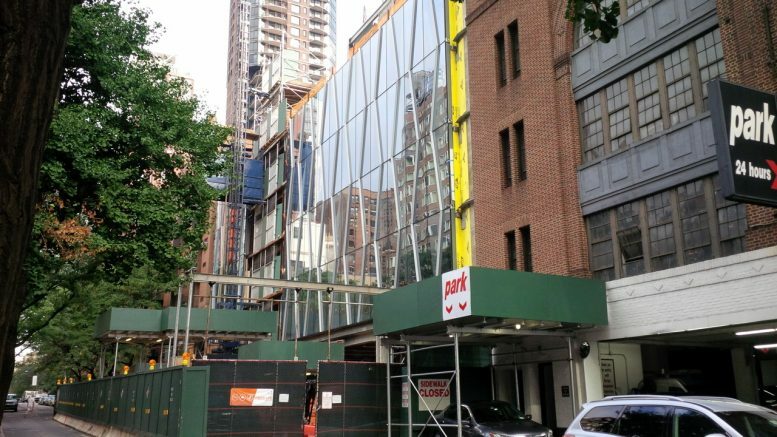 1 Comment on "Façade Installation Underway on Memorial Sloan Kettering’s Six-Story Lab Building, 327 East 64th Street, Upper East Side"
Modern glass of Laboratory Medicine Building, different with designing and the facade.